This club aims at the discovery of the artist within. And at bringing students closer through glorious artistic talents they possess and providing them a platform to showcase their calibre in different forms along with uniting and binding them with each other through festival celebrations at Prakash College. This is the only club to cover three different areas of art and thus provides a broad range of opportunities to students. 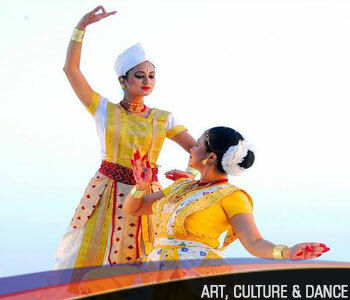 The club gives students a way to maintain or discover their love towards art, culture and dance via various culture festivals. The Art, Culture & Dance Club of Prakash College had organized Ganpati Sketching Competition on 6th Sept, 2016 for all sessions. A Ganesh Festival celebration at Prakash College was commemorated with this sketching competition. It is believed that Lord Ganesha is the remover of all obstacles and all the problems as well the creator of happiness in life of people. The participants were extremely talented and they beautifully portrayed their skills through their efforts. Elegant images of Lord Ganesha were sketched by the participants. “All study and no fun makes jack a dull boy” Keeping this in mind a Filmy Quiz was held on 19th August 2015, by the club. The quiz proved to be a great solution and a stress buster. The competition relieved students and it was a great fun for the students either being the participants or spectators. In order to test the knowledge of the students apart from their academic Art, Culture & Dance club had organized “LOGO QUIZ” on 20th July 2016. The student’s knowledge was filtered, on account of the 4 qualifying rounds held to assess them. The students diligently participated in the Quiz and immensely rejoiced over their efforts and success. The Art, Culture and Dance Club had organized Paper Quilling Competition on 08th Dec 2015 for students as part of ourculture festivals. The main motive to conduct the competition was to provide an arena; to sharpen their potentiality, creativity and aesthetic sense by infusing novelty in their skilled attributes. The students were given entire liberty to incorporate their novel ideas and create a masterpiece. The students made use of Quilling Strips, Glossy beads, Stamps, Card Papers.etc. The student’s efforts were recognized & appreciated. The Art, Culture and Dance Club had organized, Nail Art with Theme Competition on 15th Sep, 2015 for students of all the session. The key motive to conduct the competition was to draw their potentiality and infuse creativity, uniqueness and steadfastness within the students by using their mind instantly. The student made use of matt and glossy nail paints as their base and drew floral, leafy, attractive designs over their nails with the use of nail art pens. This competition on the whole instils novelty and aesthetic sense within the student. We began the Filmy Quiz on 19th August 2015. The quiz proved to be a great solution and a stress buster. The competition relieved students and it was a great fun for the students either being the participants or spectators.